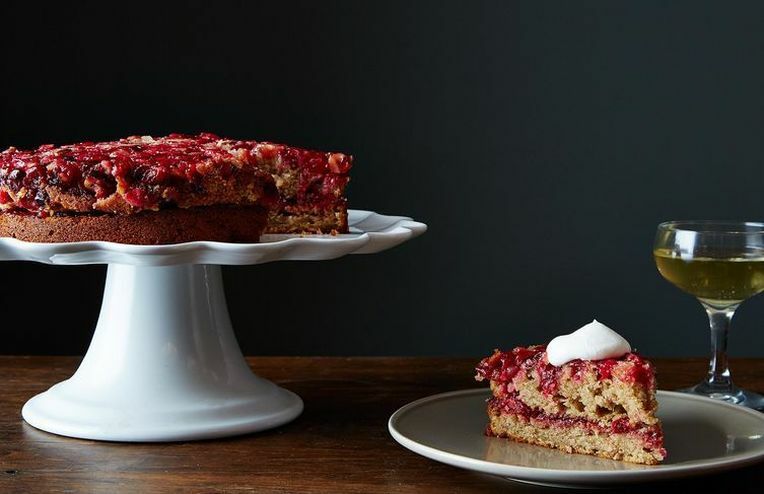 A cranberry cake that's ready to be front and center at your Thanksgiving dinner. Pie Week was fun—good thing the holidays are just around the corner. Sage moves from stuffing to your pie. Today we're learning all about the jewel-like cranberry as it goes from puckeringly sour in the raw to richly sweet when cooked. Native to this continent and a close cousin to blueberries, lingonberries, and huckleberries, the cranberry is so much more than just a Thanksgiving one-off. As American as apple pie? Try as American as cranberry sauce!